Great writers have a knack for storytelling. Larry Toppman is one of them. Over the years I have enjoyed reading his film reviews AND hearing his stories, the latter shared over coffee, lunch or at screenings. Some of my favorite Larry stories have included a Bermuda cruise that almost sank, a high school reunion run amok, and some crazy happenings in Las Vegas. This 1K podcast allows Larry to tell stories related to his interactions with some of Hollywood’s biggest stars. 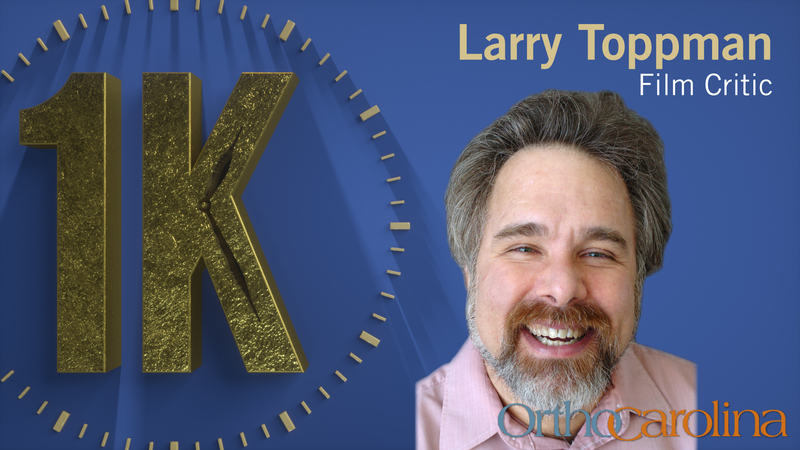 Over four decades as an award-winning movie critic, there is almost no one Larry has not interviewed. You combine that access with a great storyteller and…well, it’s 1K magic! In this podcast we hear about Larry’s bizarre encounter with an enigmatic Ed Harris, the sweet motherly concern of Meryl Streep, a phenomenally honest Forrest Whitaker, perhaps an even more “available” Jack Black, and an equally inquisitive Oprah Winfrey. Finally, the fact that Larry has had such a successful 40-year career as a movie critic is an interesting story in and of itself. Let’s just say that he got off to rather inauspicious start. In 1977, Larry predicted that a new film by George Lucas would flop at the box office. That film was Star Wars.